Tan mesh tarps offer a number of benefits due to their incredible features. Before digging deep into the discussion about these specific tarps, you need to understand what are they used for. These are the coverings that are used in gardens to offer protection against rain and heavy winds. They find most of their application in agriculture because they allow accurate amount of air and light to protect the plants and ensure healthy growth. There are a lot of different types of mesh tarps such as green ones, tan ones, and black ones. Although, they are primarily used for the farming purposes, but they find applications in nurseries, camping grounds, and at camping companies as well. Moreover, they are employed at lumber yards, and sawmills. When it comes to sizes, they are available in varying dimensions. Either you can choose them for heavy duty purposes, or medium duty uses. Determine the amount of shade it offers to be assured of whether it suits your needs. You may also want to look at the ultraviolet protection it offers. You ought to attach these sheets onto poles, which provide shade to your car. Otherwise, you can also use ropes to attach to an area over your pool or plants. Moreover, these can also be used to make fence that will extend between upright poles. There are various reasons as to why people use such mesh tarps. Of the most important reasons, one is their affordability, and provision of right amount of protection and shelter. Try to look for a wholesaler for good price, and type of size that you need. For major projects, you should order in bulk to enjoy savings. Choosing right type of tan mesh tarps is important. Search around at different planes for the best deal. Internet is one of the best sources that you can choose to start your search. 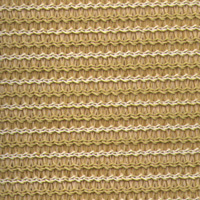 The tan mesh tarps offer great shade as well as a beautiful decoration. The tan color adds class to any outdoor occasion. Here are some good reasons to get a tan mesh tarp this summer. Cut out the UV rays and save yourself some skin damage. The tan mesh tarp color will make your backyard look more decorative at a low cost. The mesh tarps invite the wind in and defuse it. This helps with unwanted heavy winds that might knock over your table items at a party. It can be kept up all year round because it is durable in rain and harsh sun.